Every year, this particular week is one of reflection for me. Along with Thanksgiving, I acknowledge my birthday, and that of a brother who died too young. And once there was a wedding anniversary. 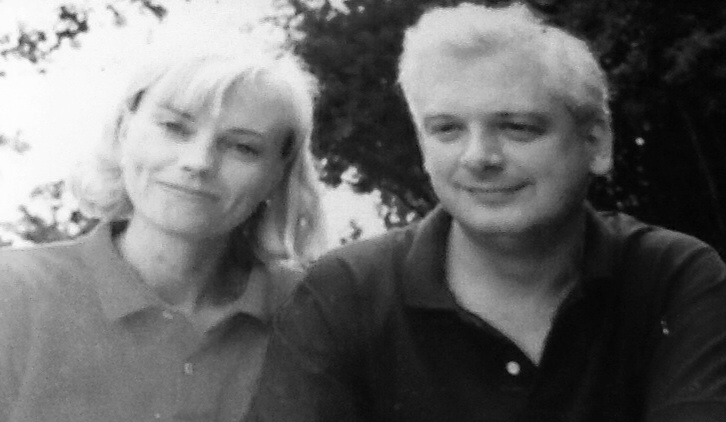 It would have been 29 years of marriage this week if my husband Richard was still with me. I find my memories of years gone by are as warm as they are cold. The recollections of steamy windows and turkey bastings still fill my heart, even if the details of faces around the Thanksgiving table are fading. And birthday party gifts of little pilgrim candles still dance happily in my head, though in one a bit fuzzier. Yet dark November commutes on icy roads driving Richard to his adult day care center in his last years still send a chill up my spine. My Spode Christmas mug companion, lined with mistletoe and hot coffee, would turn cold as Coke by the time I’d cross the city line to New Hope each morning. I’d try hard to be ‘of cheer’ but would fail miserably. Typically mumbling to myself, “New Hope? How about ‘No Hope’?” as I’d drive off from the facility downtown to work. Dementia can do that to a caregiver. But I’ve learned there was hope back then, and perhaps there always is. Not of a spouse recovering from an illness where there is no cure, but of a caregiver coping with acceptance, loss and finally moving forward. I drove to the store in sunshine today to replenish my coffee supply for my Christmas mug that now rests on the kitchen counter. 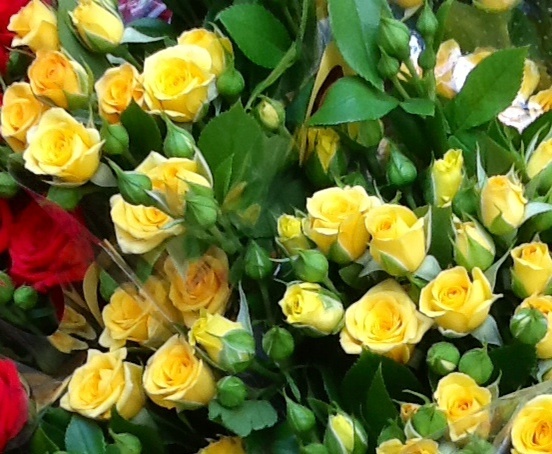 As I first walked through the door, I was greeted by the scent of buckets of yellow roses and a happy clerk restocking them. The price was good, but I walked on by. I can’t just buy them for myself, I thought. But I stopped, shifted into reverse, then picked up a bunch along with my French Roast. I added my husband was now gone. His face saddened some, but then he smiled as well. I watched him attach a sticker to the cellophane wrapping. A “paid” sticker, I thought. I admit a tear rolled down my cheek. But my gratitude far exceeded any sadness. And isn’t that how it should be every Thanksgiving week? 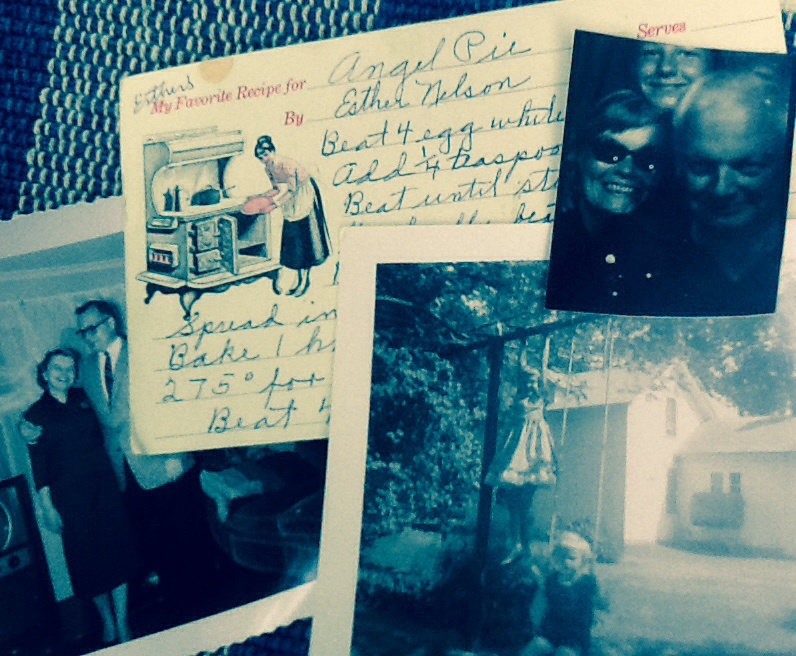 Grandma’s infamous ‘Angel Pie’ recipe fell off my bulletin board in the kitchen this morning. Picking it off the floor, it seemed like an invitation to a party of memories. And just the perfect one, flying my direction on Father’s Day. In my seasoned life, more family members have departed than remain. Yet remembrances are rich and still full of life. And every June, I imagine these special family members having their own holiday picnic in Grandma’s backyard. I see Grandpa, Dad, and my husband smiling as the main meal is brought out. Soon they’re devouring crispy fried chicken and fresh butter slathered sweet corn on Grandma’s signature blue and white tablecloths. And there I am, watching every bite from the swing. It’s about to turn even sweeter as Mom starts serving strawberries laced with sugar laden whip cream on Angel Food Cake. And then the back porch screen door bangs in the breeze as Grandma proudly presents her mile high Angel Pie to the fathers on their sacred day. She slices one big piece for a Grandpa who built a second swing inside the garage for his granddaughter. He knew as his health further deteriorated, he could still watch that granddaughter swing from his kitchen chair. And Grandma slices another for a Dad who played an active role in raising his daughter, in an era when it wasn’t the norm. And then a third, for a husband who was passionate about adopting a non English speaking 12 year. His unconditional love would prove to shine the brightest in the toughest of those teen years. After the feast, I watch the women shake the tablecloths clean to tuck them away for the next holiday. The three wise and loving men in front of me pat their full bellies, looking content. But she is also hungry. Soon the woman takes a journey to the bakery in search of her own slice of Angel Pie. She’s found there is nothing like a little food for the soul. The Ghost of Christmas past paid me a visit last night, leaving me more than a little blue and Scrooge like. After five minutes of tears and reflections on holidays gone by, I pulled myself together to write a donation to the home that so lovingly cared for my husband Richard prior to his move into hospice last Christmas. Afterwards, I tried reading for a while, nibbling on Brie and crackers. But I remained restless, so I searched instead for something good on TV. So where was my rerun of “It’s a Wonderful Life” when I needed it most? Shutting off Christmas lights trimming my front door, I saw even the weatherman let me down. His empty promises of a white Christmas were washing away in the cold rain. Surrendering finally to the fog, Tucker the terrier and my matronly corgi Maddie escorted me to the drafy bedroom for a long winter’s nap. Once the canine duet of snoring songs subsided, I drifted off to sleep. At 4am I suddenly heard beautiful bells, ringing louder and louder as I began to wake. Sweet sounds of softly spoken words were also in the distance, with the familiar French accent of a dear friend of Richard’s. But I was too slow to pick up the phone before my answering machine did the honors. I was however awake enough to hear the last few words of his salutation. I’m thinking Richard was behind that message from Paris, I told the dogs this morning. His surprise Christms gifts from work trips to France were always the very best. My little clan nodded in agreement, and each then kissed my hand. I in turn, gave each of the dogs a big hug and a bite of my Christmas croissant, smiling. There’s nothing like a train. 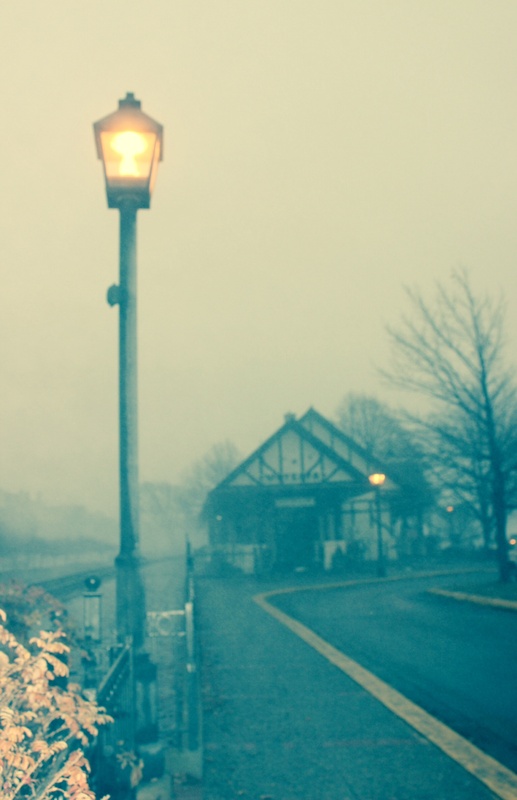 I love to walk in the mist along the tracks leading to the old depot in town, waiting for the whistle. This time of year a lone Christmas tree sits inside, with candles lit by the windows. But my memories are ignited anyway. The tracks lead 80 miles due west towards the smal Midwestern town where Mom was raised. 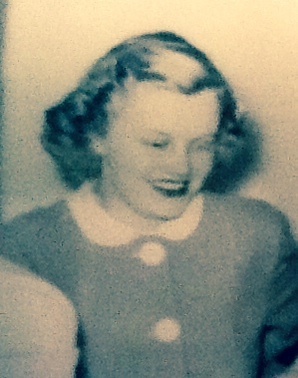 She often shared stories of her journeys to the city for special occasions and when she traveled to St. Paul for college. As for me, I remember driving to Grandma and Grandpa’s house each Christmas with the tracks and trains alongside us as constant companions. The calming chug-a-lug of the wheels would lull me off to sleep, my head soon resting on my brother Scott’s shoulder. My sister and I would be holiday adorned in matching red velveteen dresses beneath our heavy dull coats. Treasured hand me downs they were, from a wealthy doctor’s family. And Scott would be donning a Christmas bow tie under his parka, his hair slicked back with Brylcreem. Our anticipation would grow as soon as we crossed the tracks off the country highway into town and drove by the train station. We’d be so eager for Grandma’s first hug. And for the first glance of the tinseled tree with red and green packages below. We would hear the occasional whistle as trains traveled back east, disappointed that it was too cold to run down and place our pennies on the rails to be flattened down as souvenirs. With smells and sizzles of an almost perfectly cooked roast, we’d start to squirm on the squeaky wooden stairs leading up to the bedrooms. Our annual spot to pose for Christmas Kodak black and white photos. After pictures and the big meal, Grandpa and his two brothers clad in their usual brown gingham shirts would dose off snoring. Just as the women back in the kitchen, tackled dishes and steaming egg coffee. Occasional wheezes from the men would create a spontaneous duet with the latest Burlington Northern whizzing by. On another holiday, when I first met my husband, I discovered trains held a fascination for him, too. It began with the gift of a Lionel train for Christmas when he was a small boy. I suppose it’s no surprise that we ended up living within whistling distance of train tracks and a depot. We often talked of the romanticism associated with trains over the years. Neither one of us ever found it with cars or planes, especially as roads and flights grew more crowded. So I’m thinking I’ll hold on to that dreamy idealism and my memories associated with trains, tracks and depots. Today my grandparents, parents, and brother rest on a hill near the depot eighty miles west. And my husband rests near another one, off to the east. As for me, I rest well knowing we’re all sharing the same serenades every night. One brilliant chorus of beautiful train whistles. We stood gazing up at that famous winsome smile for maybe 10 seconds. My husband Richard suddenly looked restless, tapping his shiny right wing tip up and down. “It’s way overrated. Let’s move on,” he instructed. And so we did, removing ourselves from the growing huddled mass paying homage to the Louve’s beloved star. Richard directed me on to yet another room where there was a smaller fan club admiring a Peter Paul Ruben masterpiece. “Now THIS is a painting,” he announced, beaming like a proud papa as he looked up. I quickly learned that day my husband had a strong passion about art, artists, and opinions about both. And I was about to learn so much more about him in the course of this one special week in France. 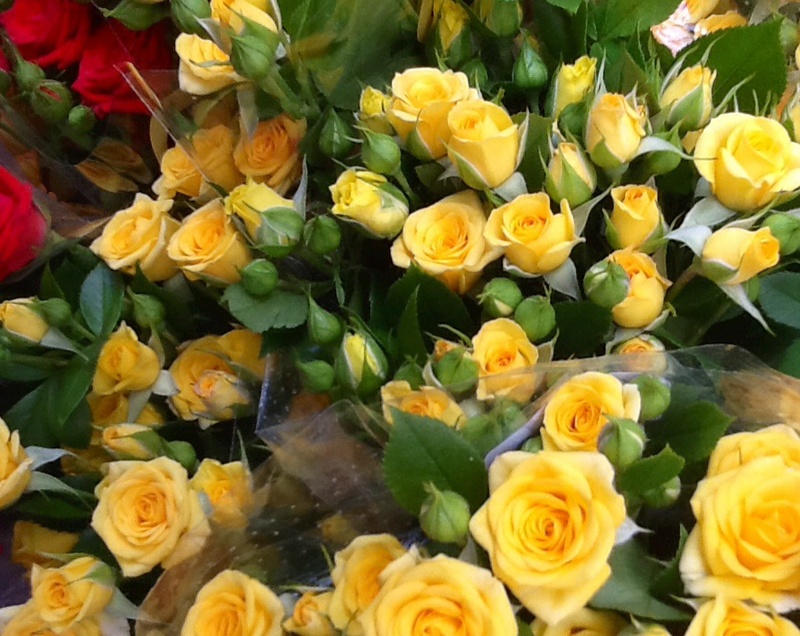 For Richard, Paris was as much a home turf as his hometown of Dorchester, MA. He’d lived in the Marias district of Paris for a year while researching and writing for his graduate school program in art history. Now a museum curator, Richard was in France on this trip for business, but I was fortunate to tag along to make the visit a honeymoon as well. For me the trip was a whirlwind of gallery and museum visits, as well as introductions to his French friends and colleagues. I noticed Richard’s great love of France bubbled through with great enthusiasm in every activity, and in every word of French he spoke. He showed me his favorite neighborhoods and cafés, historical monuments and churches, with full and accurate detail on each. And he even introduced me to his favorite art dealer on the Seine who sold old prints and drawings to poor couples like us for the price of a pizza. As Richard would carefully sort through each work on paper, his boyish grin would appear every time he found something he liked. And those blue eyes would sparkle. I learned something else about my new husband on that trip I know I’ll never forget. For a wedding present, my parents had given us cash for a romantic dinner at a classic restaurant author Ernest Hemmingway frequented many decades ago. Richard, being a great seafood fan thought the restaurant would be the perfect place for me to meet up with my first raw oyster. It also was my first and last encounter with one of those slimmy sliders. Feeling weak after I dragged myself back to the hotel, I spent the rest of my honeymoon in the bathroom. Turns out that oyster was one very bad boy. But Richard was very good. Never blinking an eye, he continued to hold my hair back why I worshipped the commode in front of me for three days straight. Richard and I had only known each other 11 months when we married, but my hunch about him was right. He was a compassionate and caring person who taught me so much. I like to believe each memory we created is a masterpiece, something to still savor and admire. We married on a snowy Saturday, 28 years ago today. 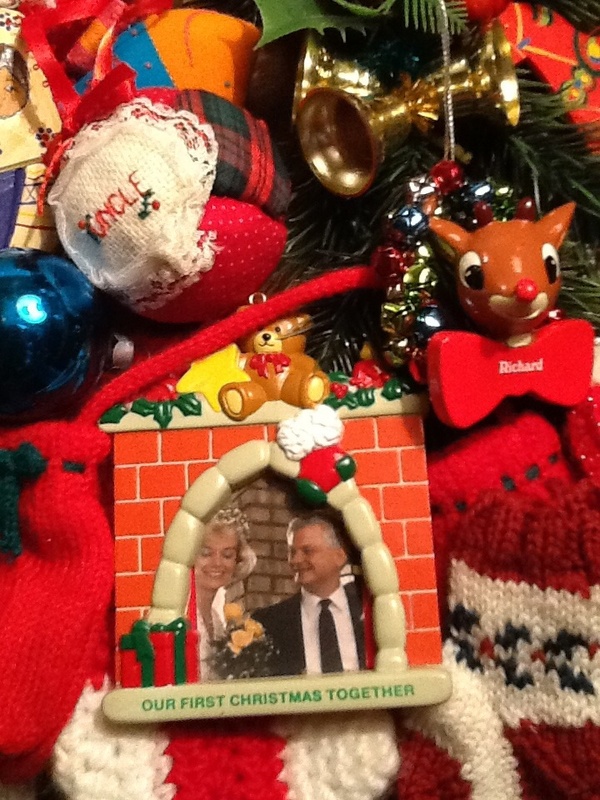 Though Richard passed away the day after Christmas from complications related to dementia, I’m now busy creating new memories. I may even back go to that old Hemmingway haunt in Paris someday for another meal. But next time, I’ll be asking for ham and cheese on a baguette. As I believe I learned one French lesson particularly well. Mom used to tell me when I was a teenager that every year of life goes faster than the one before it. “Go for the gusto,” she recommended. “And always give thanks for those around you”. At the time my pimply, adolescent self mumbled the 70’s version of “whatever”. But I now know Mom was right. Last week my sister mailed me at least a 40 year old photo of Mom and her three smiling best friends enjoying each other and the beach with their kids. But two of the women recently passed on, and so now has Mom. Then yesterday I had a November birthday brunch with two of my own long time buddies. One of them kindly penned an appreciate note in my birthday card referencing our own “40 years of friendship”. “Wow! How the heck did that happen?” I mumbled. The thought of 40 years of friendship hit me harder than the impressively large milestone birthday number I’m about to get slapped with. I’m sure we were just children ourselves four years ago, not forty. What an incredible gift to have life long friendships. And what a blessing to be able to tell those in your life how special they are while they’re still here. Like Mom’s remaining best friend I’ll be calling shortly. That will be right after I add two more suggestions from my friends for next year’s ‘go for the gusto’ bucket list. I know Mom would definitely approve.